Over the last few years Brazil has been moving over to digital TV, and has planned to shut down the old analogue TV signals. Vinicius Lenci (PU2VLW) was watching with his SDR during the analog shutdown that occurred in Pedreira-SP on the 17th of January 2018 (note that the post is in Portuguese but Google Translate can be used). The video on his post captures the end of an era by eerily showing the analog TV audio signal suddenly cutting off and turning to noise. 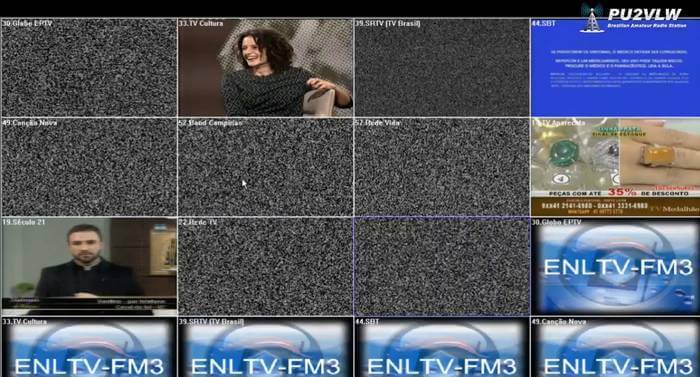 In another video where he was monitoring 16 analog channels with an analog TV receiver shows the channels slowly switching off one by one within a few minutes. Shortly after the analog TV signals were shutdown, Vinicius notes that a new digital TV signal under test at 571 MHz appeared in place of one of the old analogue signals. Also he notes that the now empty 750 MHz band will eventually be replaced by mobile LTE technology. Capturing the Analogue TV shutdown in Pedreira, Brazil.